Life’s too short to forgo the simple pleasure of scoping up the last skerrick of an ice cream sundae from the bowl. 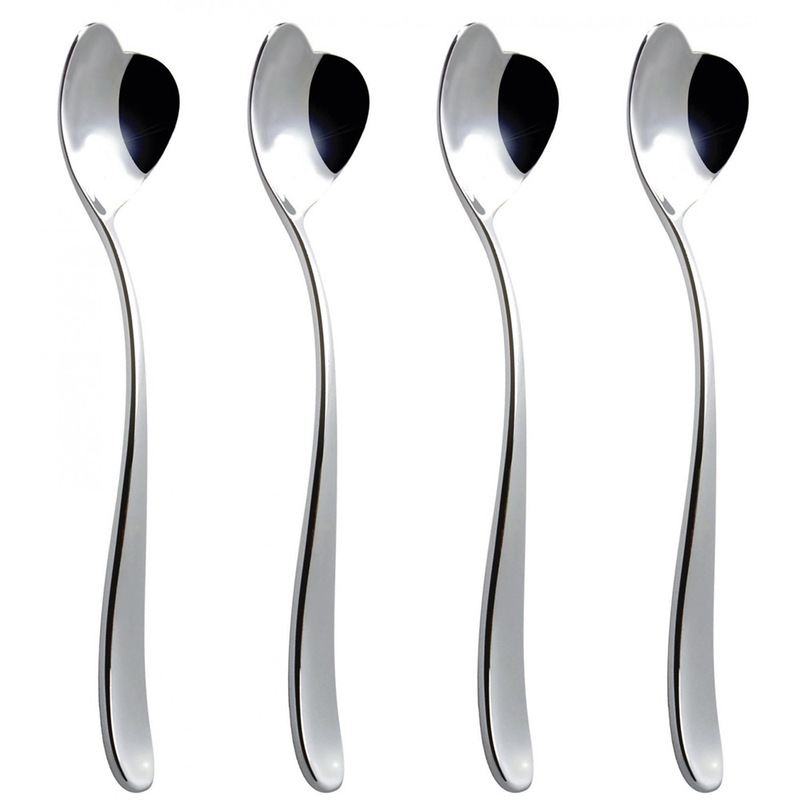 Now you can be sure to thoroughly enjoy it with Alessi’s Big Love Ice Cream Spoons designed by Miriam Mirri. Heart shaped and angled in such a way to get around the corners of even the trickiest bowls, they’re also a work of art in 18/10 stainless steel. It’s all part of a special design project of exploring shapes and structures especially those favoured by children - who know a thing or two about eating ice cream. Alessi turns living well into an art form. Crafted from 18/10 stainless steel. Designed with love hearts around the bowl. Beautifully presented as a set of four in a decorative Alessi box.